A Lagos Prominent White Cap Chief, Fatai Abiodun Olumegbon is dead. He was the head of Idejo Chieftaincy class, reportedly, he died yesterday, Sunday, 24 March, after a brief illness. He was aged 59. A lawyer by training, Olumegbon was a kingmaker and one of the most prominent Lagos White Cap chiefs. According to The ELITES, we gathered that Olumegbon had returned from Dubai, UAE on Friday, where he had gone for medical check-up. A former staff of Ojo Local Government, Olumegbon also served as a supervisory councillor during the military era. 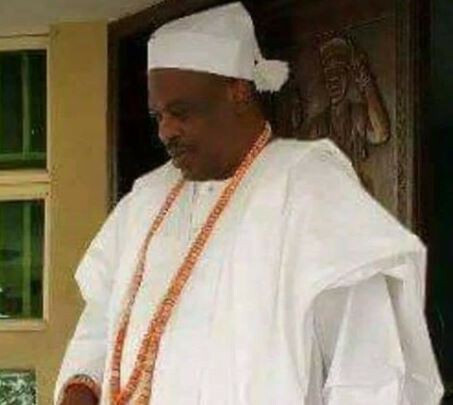 Beyond being a kingmaker and one of the most prominent Lagos White Cap chiefs, Olumegbon was also one of the most powerful and influential chiefs In Lagos. He will be buried tomorrow in Ajah, Lagos in accordance with Islamic injunction. In Pictures Aisha Buhari Supports Promotion For Girl-Child Education. Anup, Atawewe, Davido, Pasuma and Yuvika To Perform At Festival Of India In TBS Today.